How Are US Treasury Bonds Taxed? You know US treasury bonds are among the lowest risk investment vehicles. Both individuals and institutional investors can benefit from the bonds. There are several questions surrounding the taxation of the treasury bonds. A prominent one is given below. Since bonds are issued by none other than the Treasury of the US Government, are there tax benefits? The answer is a resounding “yes“. The reason is only the taxes at the federal level apply. You will not have to pay the state taxes for the bond income. This feature will benefit everyone regardless of the place of residence. However, this is a boon to those who are from the states with high taxes. For example, if you are from a state like New York or California known for high taxes, you will find good value in treasury bonds. 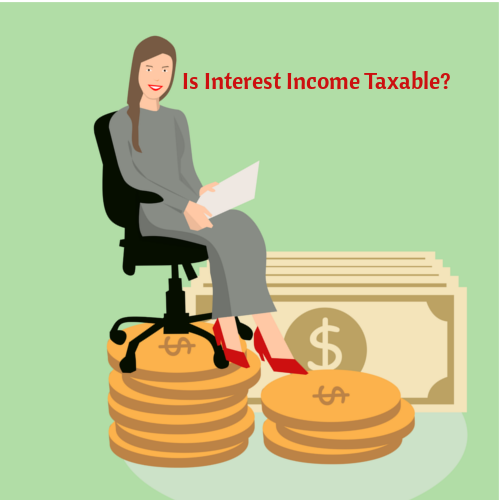 Is Semi Annual Interest Income Taxable? How the Treasury Website Simplifies the Tax Work for You? You may be familiar with TreasuryDirect website. This website is run directly the Govt’s Treasury Department. The purpose is to help investors to manage with ease the treasury nvestments. For those who purchase bonds, the Treasury will send 1099-INT form every year. This form will help you with the specific interest income that is taxable. The website also helps you to view a history of taxable earnings. How to Calculate Treasury Bond Tax On Interest Income? Now you will see how to estimate your overall tax after adding interest income from the bonds. In reality, your financial advisor or auditor can do the task for you. Still, the example you are going to see now will help you understand the taxation better. First things first, you know about the tax system that exists in the US. You should also know about an upcoming tax reform that is said to help a majority of the Americans. Though the new taxes may harm upper-middle-class Americans with an income of over $200,000. The US has a multitier tax system. Depending on the source, some income is taxable at the federal level, some at the state and some at the municipal level. Common sources of income are taxable at multiple levels. Usually, the state level taxes are a small overhead over the federal taxes. State taxes are different for different states. Let us assume you are residing at Colorado which has a flat tax rate of 4.63 % (as of 2018). Let your annual income from your job be $150,000. Let us assume you are single. Note: Taxes differ for those who file as individuals and those who file jointly as couples. Assume you have bought treasury bonds for $10,000. Let the interest on face value be 7%. Let the discount on face value be 5%. i.e. The purchase price is 5% lesser than the par value. What is Your Interest Income? Now let us calculate the interest income based on our assumed rate. The interest payment in dollars has to be calculated based on the face value and not the purchase price. Face value corresponding to the Purchase price of $10,000 at 5% discount can be calculated as shown below. What is Your Taxable Income? Your taxable income is the sum of your annual job compensation and the interest payment. Note: For illustration purposes, we have assumed you don’t have other income than your job compensation and bond interest. Before estimating the tax, let us subtract the standard deduction from the taxable income. 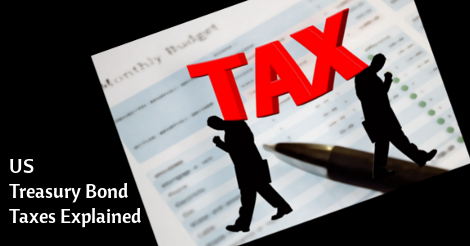 Standard deductions are flat deductions that that apply to all taxpayers. 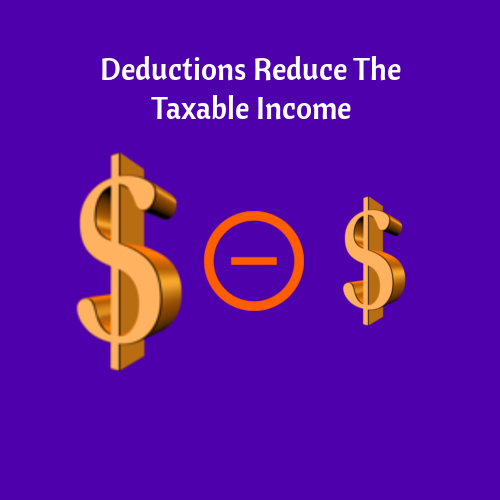 These deductions are decided upon by the IRS. They are applicable only when you have not presented itemized deductions. Note: Itemized deduction, as the name implies is reporting expenses item-by-item. For example, you can report expenses like hospital bills, donations, etc., that may impact your taxes (by decreasing the taxable income). Your financial advisor will help you decide between the two types of deductions. As a general rule, the higher the deduction, the better. For our example, we are sticking to the standard deduction. If you are filing taxes for the 2017 financial year, according to IRS, the standard deduction is $6,350. We are going to base our calculations on the tax brackets for 2017. Assume a taxable income of $30,000. In this case, the first $9,525 will be taxed at 10% while the remaining $20,485 (= $30,000 – $9,515) will be taxed at 15%. (You have to split the income into tax brackets in an incremental fashion.) 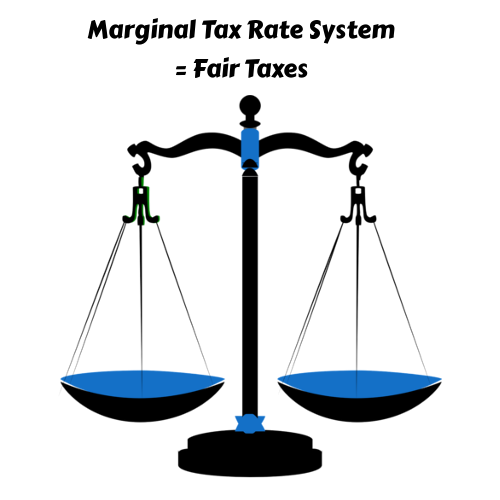 Above methodology is referred as marginal tax rate system. This method ensures everyone is taxed fairly. Note: The third column is where we have split the taxable income into brackets in the increasing order of dollar value. Is this the final tax you are going to pay? Wait! Do not forget the state tax. Though state tax doesn’t apply to treasury bonds, you have to pay for your day-job income. Do you remember we started the example assuming you are from Colorado? Colorado has a flat rate of 4.63%. You have to apply the rate to the taxable income by subtracting the income from the bonds. Note: We are limiting ourselves to federal and state taxes. We are not going into municipal taxes. The reason is the purpose of the example is just to explain the impact of bond income on overall tax. An important point to note is that the above tax estimate is based on IRS data for 2017 tax year. If you want to calculate for any other year, say for 2018, you have to change the values (like standard deduction) accordingly. As you may be knowing, a new tax reform bill is set to change the tax brackets for 2018. Tax brackets as per new tax bill (TCJA) are the following. Just for curiosity sake, let us repeat our calculations for 2018 instead of 2017. The resulting table will look like the one shown below. Note: We are going to assume the same standard deduction $6,350 for 2018. However, the deduction for 2018 will be probably greater than that of 2017 (based on inflation). Based on the above computation, the federal tax for 2018 tax year will be $28942.34. Thus for same taxable income of $1,43,650 and same standard deduction, the tax for 2018 is lesser than that of 2017. We are not making a sweeping argument that 2018 taxes are lesser. The reason is, there are too many factors that go into tax calculation. Our example makes lots of assumptions and does not cover all the factors. As said earlier, the purpose is just to help you understand taxation better. Note: We are awaiting more clarity from experts on this section. The reason is a lack of explict mention of OID related taxes for treasury bonds on the TreasuryDirect websie. If you want to suggest changes, kindly use the comments section at the bottom. This section is purely based on our interpretation of bond discount taxes in general. Any bond, not just Treasuries, are not always bought at par value. Instead, there could be a discount or premium over the face value. In the example we discussed in the previous section, we assumed buying bonds at a discount of 5% from the face value. Upon maturity, the investor will get the face value and not the purchase amount. Hence, if a discount from face value means there is gain upon maturity of the treasury bonds. Gains on bonds are taxable provided the discount is greater than something called “De Minimis Threshold“. To find the threshold, just take the term of maturity and multiply it by 0.25. But in our example, the discount percent is lesser than 7.5% which was 5%. Hence, the OID related tax will not apply. In case, the discount was above 7.5%, you may have to pay taxes on the potential gain. For tax purposes, the future gain will be distributed over the term of maturity. The income will then be added as an additional interest. You will realize the gains due to issue price discount only during maturity. However, you have pay taxes annually corresponding to the accruing interest. How Tax Withholding Reduces Burden? You already know many about employers withholding taxes from employee salaries. They pay estimated taxes to the IRS. In case the payment exceeds the actual tax, there will be a refund. This is an example of tax withholding and reduces the burden on the taxpayers. They do not have to pay large amounts in one-go the end of the financial year. How Tax Withholding Works In Treasury Bonds Case? Similar to an employer, US Treasury can withhold taxes upon your request. Typically up to 50% of income may be withheld. This reduces the burden during payment. TreasuryDirect website will provide you with necessary tools to specify the precise amount of taxes to be withheld (subject to maximum limit of 50% of income). Summary: Why You Should Estimate Taxes In Advance? Depending upon your purchase amount and the interest rate, you may need to at least estimate your taxes in advance. This will help you avoid surprises later. The example outlined in this post will help you do the same.